I’m always looking for fun ways to work on number sense skills. As a former elementary math teacher it is super important to me that kids know not just numbers and counting, but number values. 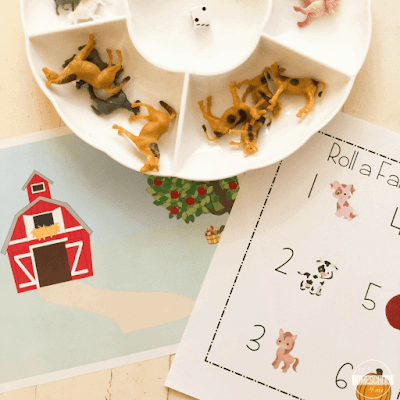 This activity is great for pre-k and kindergarten children. Looking for more number sense activities? Check these out. This activity will focus on counting as your child count the number of dots on the die. Your child will also work on matching values with the number symbol. 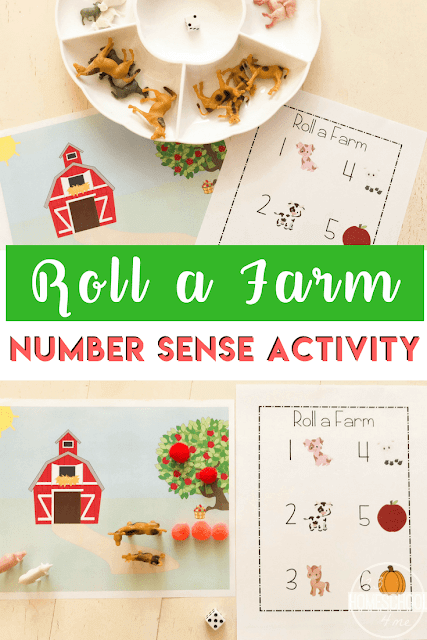 Plus, we’re sneaking in a tiny bit of pre-reading, as our littles use the key to figure out what each number represents on our farm. 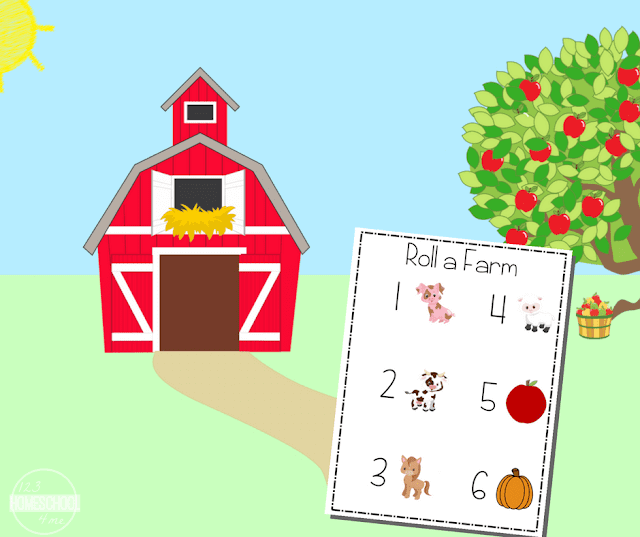 Your preschooler is going to have a lot of fun creating a farm and working on number sense using this game. Place that farm item on your farm scene. For example: You roll a six. You then find the six on the key, see that six represents pumpkins, and place a pumpkin on your farm scene. Repeat this until you have created the perfect farm.